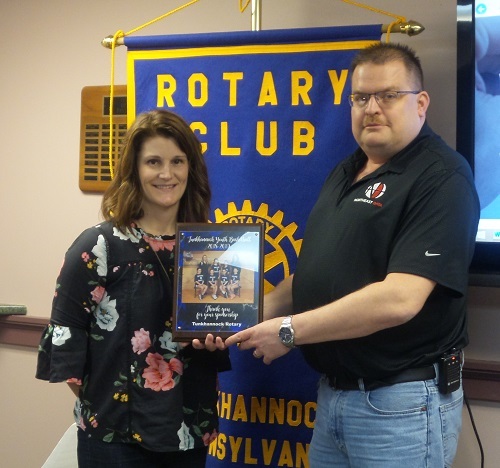 At the Feb 28 Rotary Luncheon, Colleen Newswanger, coach of the Girls Basketball Team thanked the club for sponsoring the Tunkhannock Girl’s Youth Basketball Team for 2018-2019. They wore their blue shirts to all their games. Their last game was last week. The girls improved their basketball skills and they learned a lot of lessons that will serve them later. Colleen then presented Pres. Mike with a Thank You plaque on behalf of the team.